Not a commercial job, but one of those watches I’d personally encountered once, a long time ago in 2003, but was unable to afford at the time. Nevertheless, it left an impression on me, and from the time I did have the money to spare, I’ve been hunting one down. 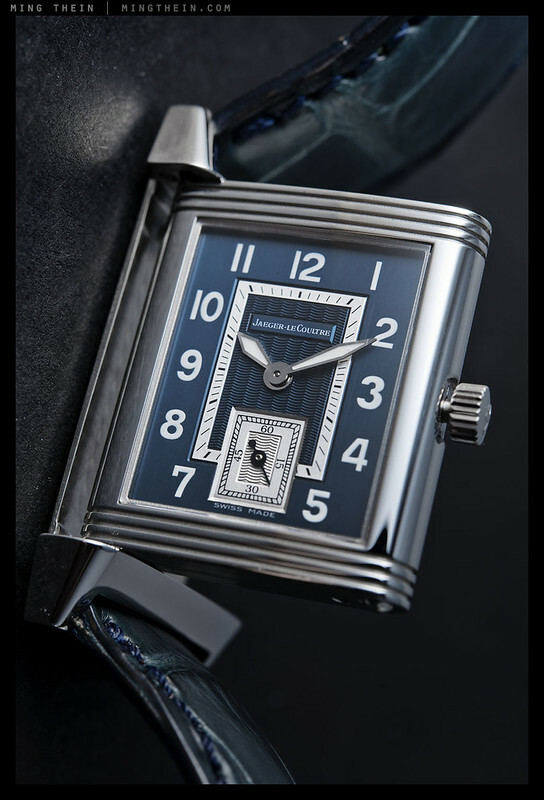 The problem is that they were very rare to begin with – I believe just 150 pieces were made – and with a very unique and beautiful dial; consequently, they’re rarer than hen’s teeth, and I’ve only ever seen one offered for sale new, and a grand total of zero on the secondary market. On my last trip to the factory, I did ask on the off chance that there was an unsold piece or two in the stockroom; there wasn’t. On the way back to Kuala Lumpur, I passed by the watch shop in the airport without a second thought; after all, I was late for my flight at that point and had to run. Something compelled me to take a quick look; in a display case hiding behind a pillar was the very watch I’d been searching out for years. Some hasty negotiation ensued – it was obviously a new old stock piece bearing the marks of rough handling, but still sold as new with warranty – they were nice enough to give me a hefty discount and an additional strap. My wallet was suitably lightened, and I just managed to make my flight. It’s a small watch by today’s standards, but is very thin (and of course mechanical) and pairs perfectly with a suit. The original Reversos were double sided with a blank metal case back, ostensibly to protect the watch while its wearer played polo; these days they’re either used as a second dial for complications, or a canvas for an engraving or art piece. I’m thinking of getting a Hokusai wave enameled on the back, but I’m in no hurry; these things are like tattoos; once it’s on, it’s for life. This series shot with a Nikon D800E, SB900s, AFS 60/2.8 Micro and Zeiss ZF.2 2/50 Makro-Planar. Visit our Teaching Store to up your photographic game – including Photoshop Workflow DVDs and customized Email School of Photography; or go mobile with the Photography Compendium for iPad. You can also get your gear from B&H and Amazon. Prices are the same as normal, however a small portion of your purchase value is referred back to me. Thanks! One week ago I got my hands on a used one – and now I found this article on your blog. Ref. no. 2508181, case no. 250.8.71 (classic size 23×38, blue dial and – yes! – steel bracelet) – and I’m very happy with it! 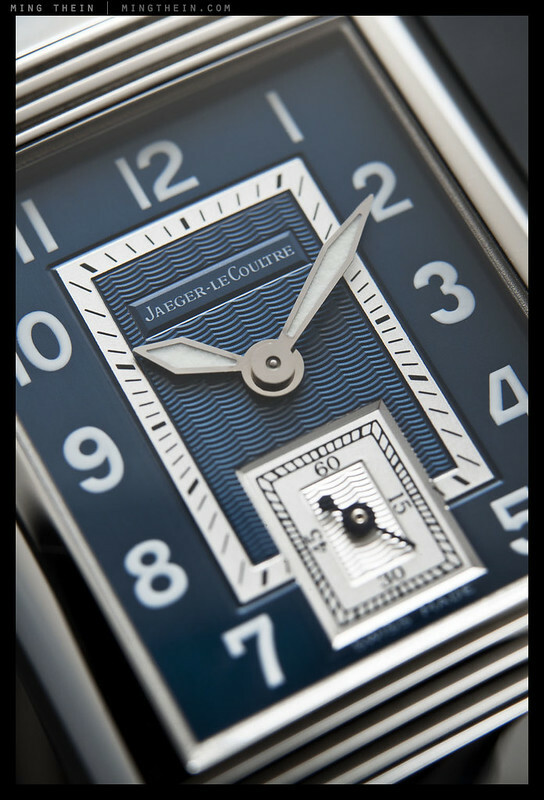 I have been looking for this watch for some time as I love JLC reverso model + blue dial. So a new option is now opened to all that were looking for this watch. I handled the new one recently, but the proportions are wrong; it’s a think lump rather than being slim and elegant. 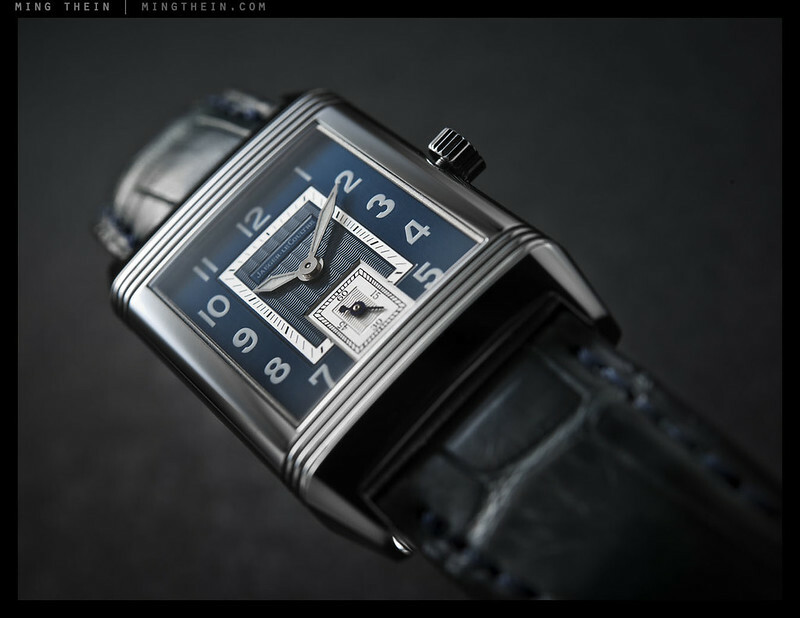 Hi, I believe that the Reverso Latitude was produced in two sizes? The Grand Taille (42mm) and Classic (38mm) size? Do you know if the 150 units produced refer to the total production for both sizes? Or 150 of each size? I think it was 150 of each. There was also an inverse white/blue dial; I don’t know if the 150 includes those variations too. Ah, no wonder. Seems to be among the hardest Reversos to find. 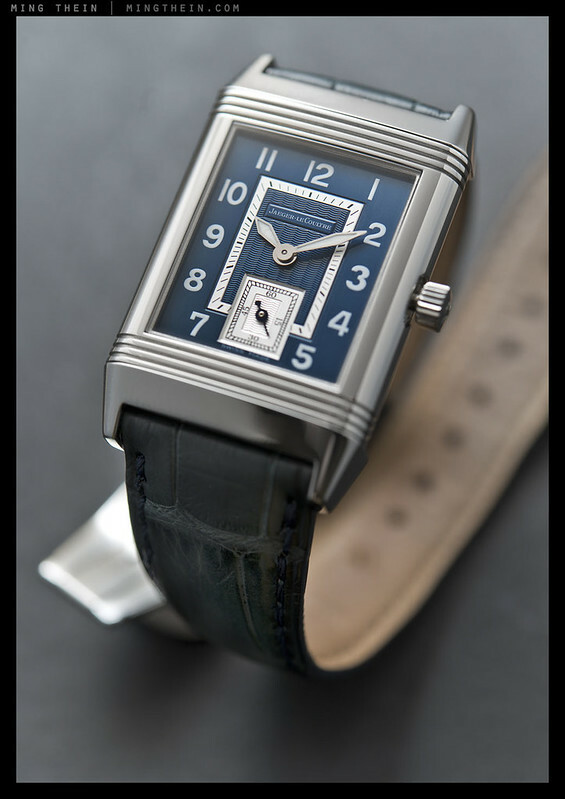 Even the relatively rare LE 500 rose gold Reverso Tourbillion, Septantieme, Perpetual, Geographique, Chronograph and Memory come up for sale far more often. Congrats on your great piece! The Chronograph is really cool too. 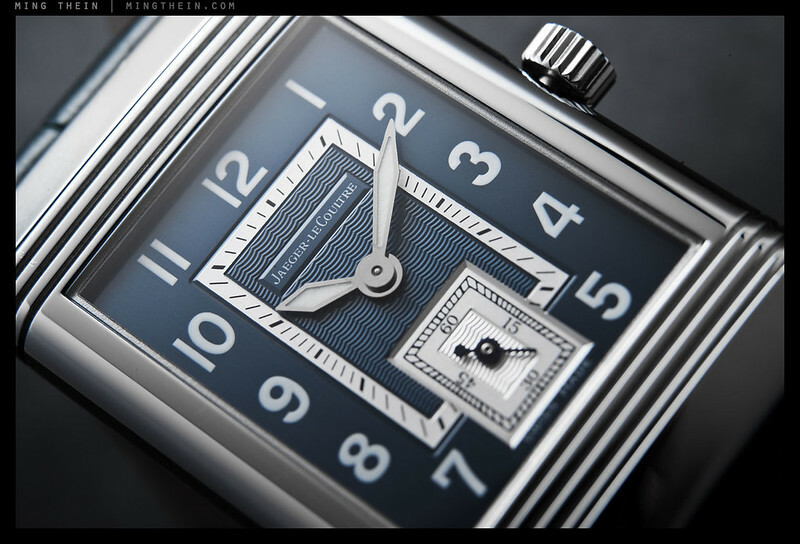 I’m also looking for the same watch… I love the blue color, would you know where I could find it new ? Wow, same as mine. What it that lovely blue strap though? JLC? Ah, there’s at least one more of the 150 accounted for. Yes, it’s the original JLC strap. 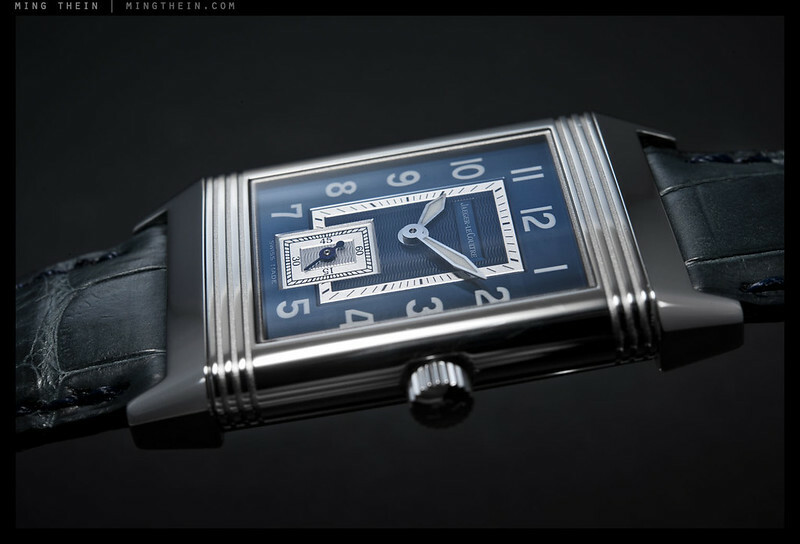 I just acquired a 250.8.71 Reverso Latitude Classique Bleu. Mine has a blue Hirsch leather band, but it does have the JLC stainless deployment buckle. I am interested in knowing how you acquired the production numbers on this model. Certainly not doubting you, just curious as I can find very little about this model on the internet, in books, etc. Thanks. Congrats – they’re not that easy to find. Production numbers confirmed with some people I know at JLC HQ in Le Sentier, and there were versions that came with a numbered certificate (mine didn’t have the original box; they couldn’t find it). Ming: Thank you for the info…and your pictures are beautiful. Can’t remember and don’t have the watch on me. It’s the Classique size. 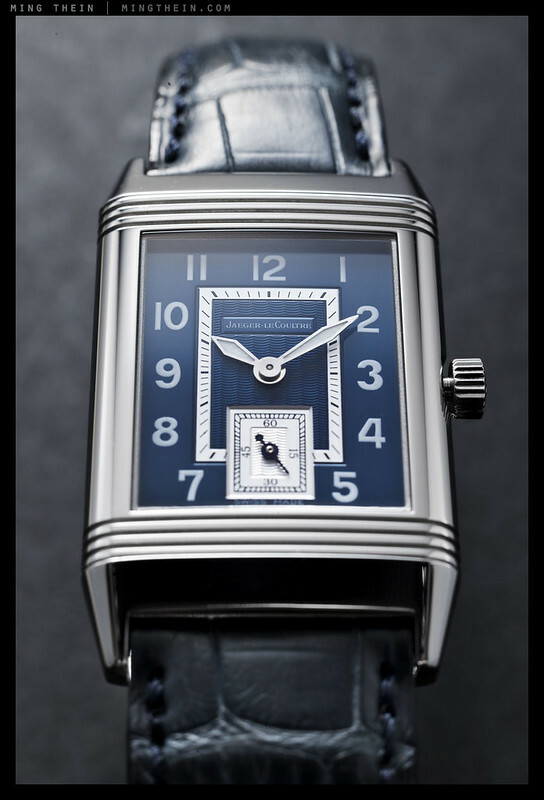 Turns out it’s none of the above – its a 250.8.71 Reverso Latitude Classique Bleu. Thanks for your reply. Thought this was the GT case version. Ming – again, wonderful images. I really dig the color combo of this watch. Question (please) re: micro lenses: Did you ever use the 105mm micro on a APS-C Nikon? If so, was it in anyway compromising compared to the 60mm (with these type of images)? Yes, the 105VR. Too much longitudinal CA for my liking, and it was a bit too long. Thank you – possibly! But it’s always nice to hear it again. I’ll admit to having just as much of an ego as the next guy. 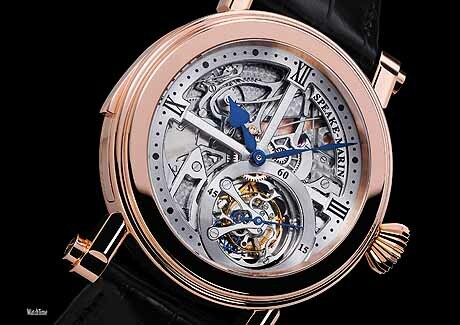 A beautiful watch and awesome pictures – perfection :-). 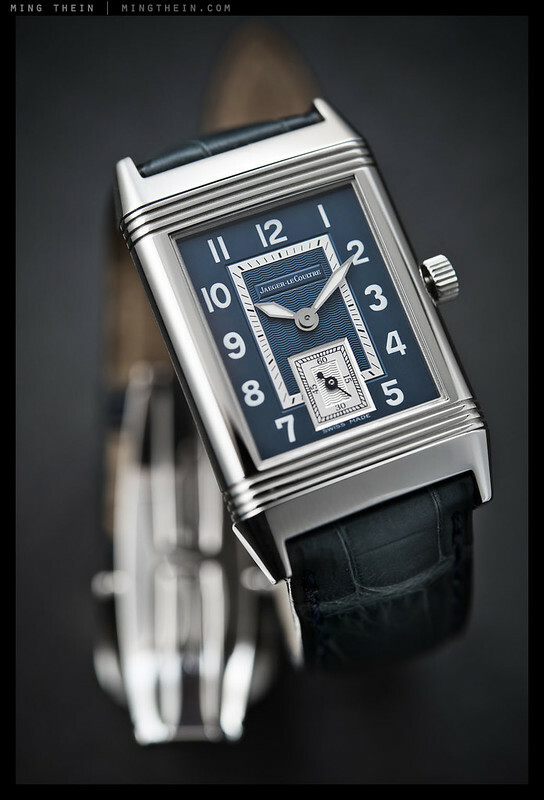 A JLC Reverso has been on my watch list. I hope when you return from your holiday you can write a bit about your in studio lighting. I know shiny objects are hard to light properly and you are masterful! Thanks Lisa. That’s actually been covered already in this article. Congrats Ming! Sounds like a tough find. Considering the cheapest watch of his I could find was $28k, some being ~$100k, I guess I need to take out a second mortgage to afford one. They are true works of art and it must have been a blast to get to photograph them for Peter! Would be cool to see his workplace in Rolle. Haha sadly not – most of the watches come to me. It’s cheaper that flying there. You mentioned that it was showing signs of rough handling? Did you have it refurbished? On the back – which I didn’t photograph. It’s still under warranty though, so I’ll send it in for a service and polish before the two years are up. 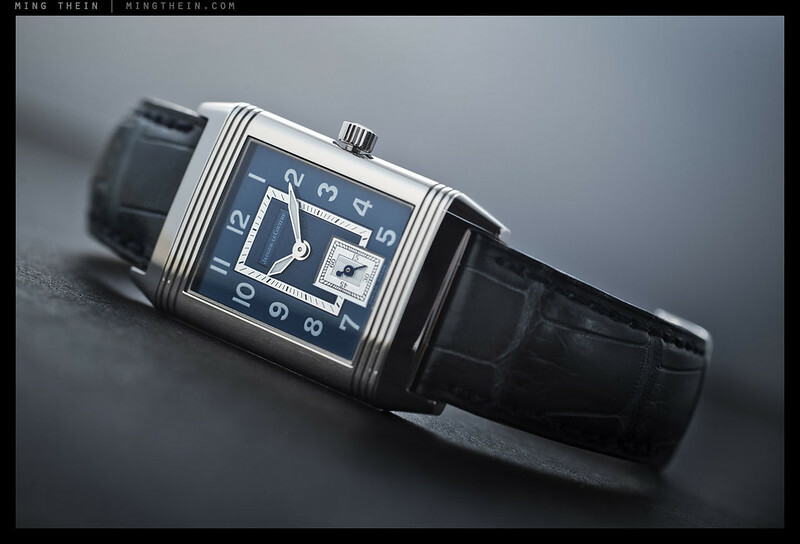 I was told by JLC that it’s not a big deal and should be quite easily fixable. 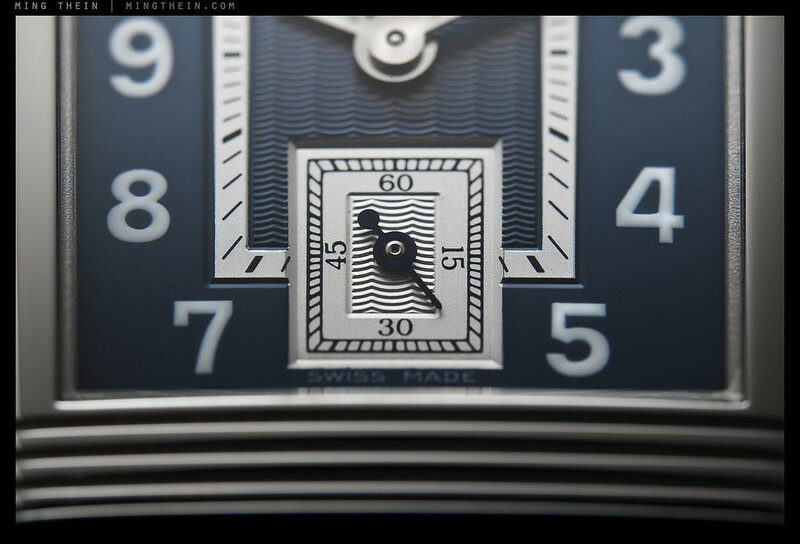 The wave pattern in the dial was the “special” part? Only blue or are they other variations as well? The dial color. They only did it once. Normal Reversos are silver, or sometimes black. So, no problem with moire? Nope, no problem – the in-focus dial structure is much bigger than one pixel anyway.